Strategic planning can be complex – that is why so many organizations put it off. JM Strategies takes the hassle out of strategic planning by employing a simple and effective four-step Planning Partnership Approach. Research: We conduct research that engages stakeholders and invests them in the process. Identification: We identify internal and external factors impacting your organization. Mapping: We map out your goals and objectives – and always with an eye on what’s practical. Management: We develop a simple management process to guide implementation and provide on-going evaluation. If your organization already has a plan on the shelf gathering dust, JM Strategies can also help put it into action. Whether your organization is seeking to reposition itself, improve its processes, or making a major change in direction, we can help you achieve your goals. That’s why nonprofits, businesses, and government agencies have turned to JM Strategies. JM Strategies provides a range of meeting facilitation and planning services. Focus Groups and Qualitative Research: We develop and facilitate focus group sessions that bring together customers, members, constituents, voters, and others in order to understand their views – and help you gain a competitive advantage. Board Development: We help nonprofit boards identify the potential of their members and develop strategies and action plans to increase board engagement and improve organizational efficiencies. Planning and Facilitation for Meetings, Conferences, and Retreats: We help clients design meetings, conferences, and retreats that engages, involves, and achieves your desired outcomes. Team Building and Development: We facilitate team building, team skills building sessions, and team review sessions that identifies opportunities, improves communications, engages, refocuses, and fosters greater productivity. 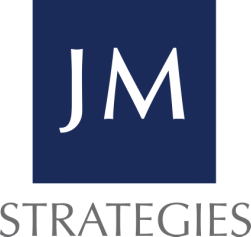 JM Strategies develops detailed action plans on behalf of clients looking to launch new programs and initiatives, expand services, or undertake politically sensitive projects. From capital campaigns to legislative mobilization plans to new product launches to improving organizational operations, we develop action plans aimed at mitigating risks, building alliances, maximizing resources, smooth implementation, and a successful conclusion. JM Strategies works with clients in designing a clear course of action for an array of projects. We assess goals and objectives, evaluate potential barriers, identify factors critical to success, and develop detailed plans outlining roles, responsibilities, timelines, and practical benchmarks. JM Strategies evaluates operational and organizational governance processes to increase efficiencies, improve operations, and better serve your customers and members.